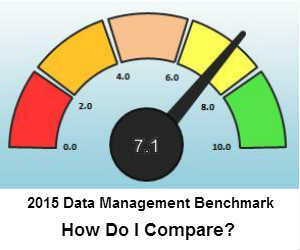 How does your business’ attention to data management compare to that of your peers? The survey comprises less that 20 questions and should take between 5 and 15 minutes to complete. The survey should run until the end of August 2015, with results expected by the end of September 2015. The survey can be taken anonymously, or you may choose to register to receive the results. I encourage you to take the poll yourself, and to forward the link to your colleagues. Hi, there is a problem with question six. There is no explanation of what the radial buttons numbered 1-8 are actually for? It just says tick all that apply. You need to have a look at this and re-issue the survey.